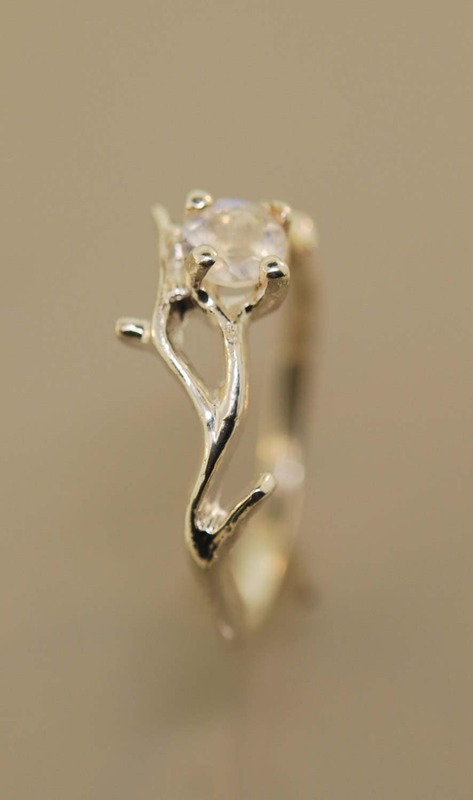 Beautiful twigs are intertwined to make this elegant ring. 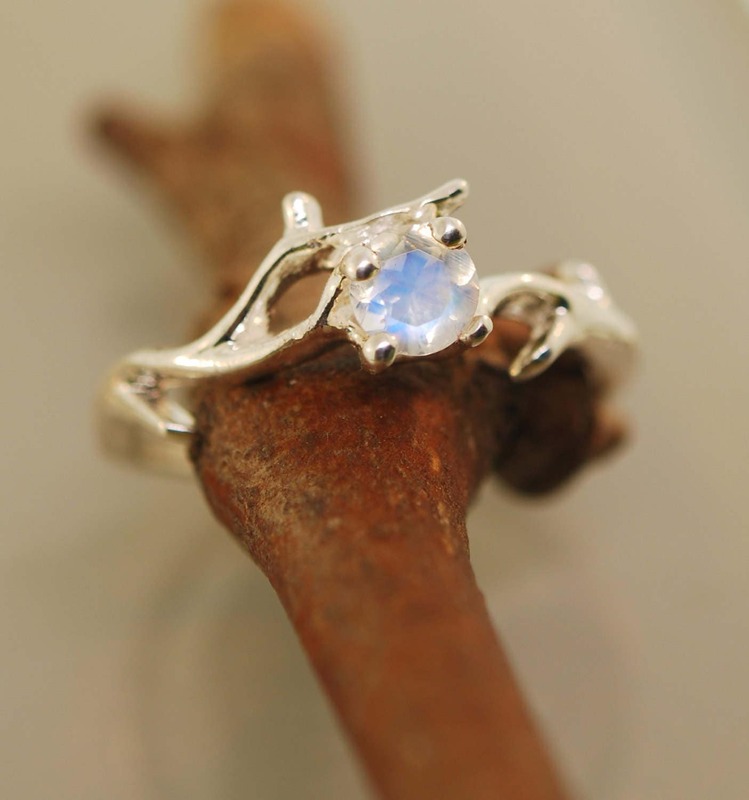 The ring in the photos is sterling silver and it is set with a 5 mm faceted moonstone. The moonstone is VS quality and flashes blue. 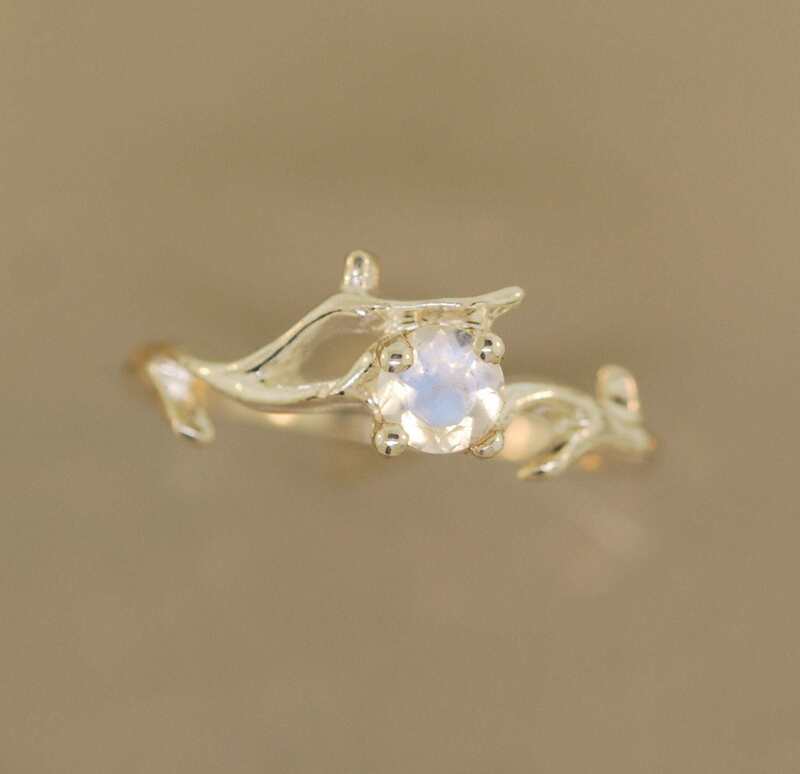 A perfect ring for those that adore moonstones and nature. 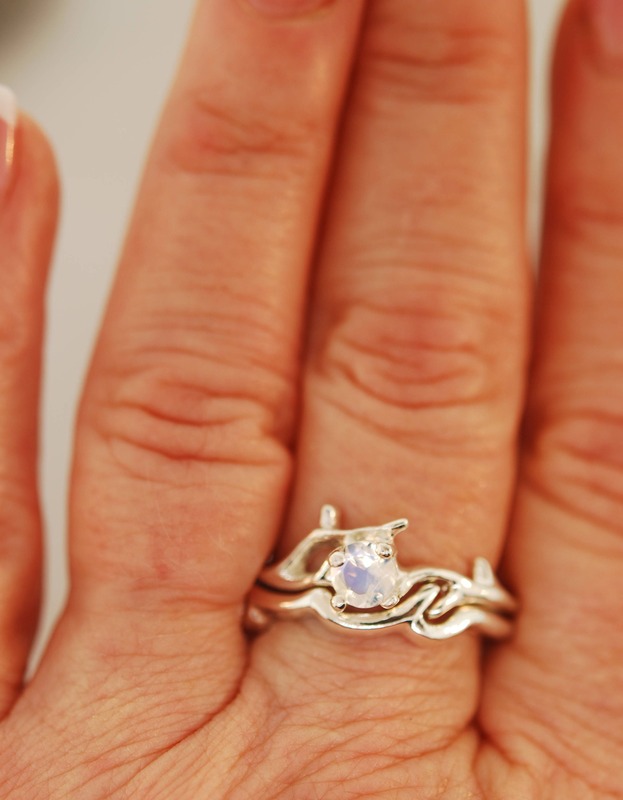 You can order this as a set or the engagement ring. Please let me know if you have any questions about this. 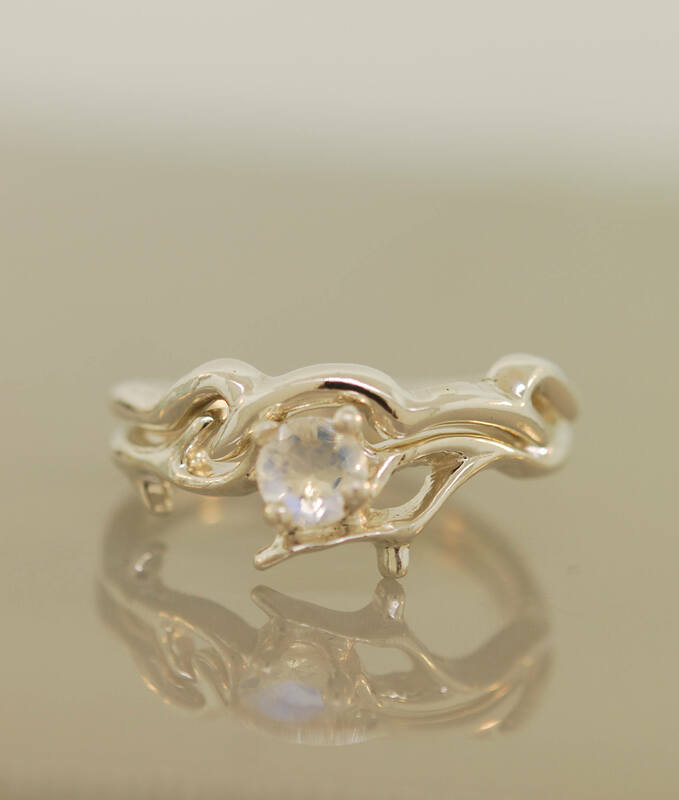 I can make with yellow gold, white gold, or rose gold. Also the stone choices are endless. Please email me with your favorites.